The demand for high-tech products is rapidly growing; from small electronics like our handheld Smartphones to enormous, complex systems such as the 787 Dreamliner airplanes. SMT PCB assembly is a critical service to build these high-tech products. 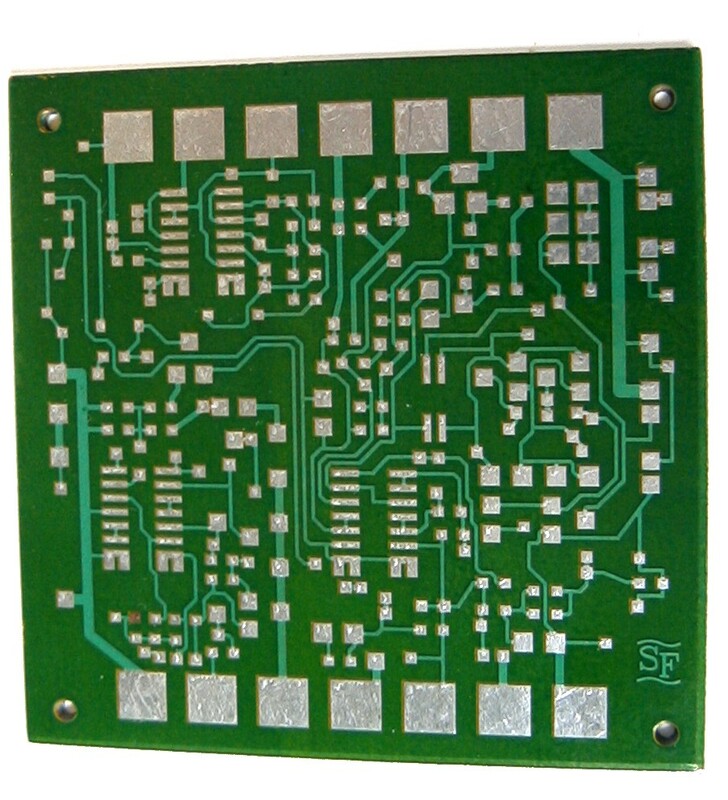 Surface Mount PCB assembly is the backbone to integrated electronic systems. PCB assemblies come in a variety of shapes and sizes and are the powerhouses of electronic systems whether large or small. The miniaturization of applications requires printed circuit boards to fit in small spaces, be able to handle extreme temperatures, withstand excessive vibration and yet perform over and over again with precision. Thank you to San Francisco Circuits for offering their PCB assembly expertise. 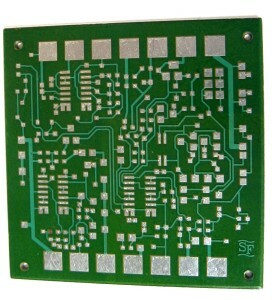 SMT circuit boards come single-sided, double-sided and multi-layered. The stenciling process is the foundation of PCB assembly; if the application of solder paste is off, you will most likely have defects down the road. A stencil is required for most surface-mount assemblies. Where SMT components are on the top side, a solder paste stencil is required. Where parts are glued to the bottom or solder side of the board for wave soldering, a glue stencil is usually required. Bottom side reflow also requires a paste stencil. Stencils have to meet the manufacturing requirements for frame size, stencil thickness, step-downs or other techniques for fine-pitch, aperture sizes on all components and stencil adhesive compatibility. Component placement is done automatically with pick-and-place machines. For time-sensitive orders, your assembly shop should ensure the latest technology is utilized, including multi-headed, multi-gantry machines that can place components even faster than ever – well over 135,000 per hour. This technology utilizes cameras to line up the placement in just a split second. Components are soldered by one of several solder methods: wave, reflow, or selective. Any through-hole components are wave-soldered to solder the leads to the board. The SMT components use a reflow oven that melts the solder paste that was stenciled onto the SMT pads. A selective solder machine is used for components that cannot withstand the heat of the reflow oven. Selective solder is a very precise process, so damage is not incurred to the surrounding components. Selective solder is also used for mixed technology – SMT and through-hole components and devices on the same board. There are inline cleaners that remove any dust particles from the boards before the soldering process. Cleaning before soldering has proven to aid in reliability. After the soldering process, the board goes through cleaning to remove any flux residue that is left on the board. The flux residue needs to be removed so the board is not damaged or found non-operational. There are several means available including cleaning agents, heat, and agitation or vibration. There are also assemblies that are designed as “no-clean” parts. Some of the most common SMT inspection tools are the Automated Optical Inspection (AOI) and X-ray testing. These types of equipment test the quality of the solder joints. The boards are also visually inspected to see if anything is out of alignment, missing or has other issues. Depending on the type of product, the boards may be inspected by sampling. If the product is for a more critical application such as manned aerospace or implantable medical devices, the inspection process includes as high as 100% of the final lot. Improved quality – by detecting catastrophic failures such as missing components or quality defects, the AOI process will help save time and improve the output. Once issues are found, adjustments can be made. The defective board can be removed from the line and reworked. Breadth of inspection – this is a non-contact test that will detect a wide variety of defects in just one inspection point on the line. It will save much time in the long run. Testing includes in-circuit, functional, and environmental tests dependent on the requirements. The testing process validates that the boards work as they are intended to. The environmental screening puts it through the rigors of temperature and vibration cycles to ensure the board can withstand ruggedized situations. In-circuit – this type of test is checking for shorts, opens, capacitance, and resistance among other things. Functional – this type of test is looking for how well the board software performs against the design specification. Environmental – this type of test verifies the board can withstand certain harsh environments such as vibration and shock. BGA (ball grid array) is a type of microelectronics packaging used in integrated circuits. The surface mount BGAs are small solder balls that are aligned in a grid, mounted permanently on the circuits in the PCB assembly process. The balls of solder are located on the bottom of the device connected directly to the board and are commonly found in CPUs and other assembly applications. They are a variation of PGA (pin grid arrays) that are an older technology replaced by BGAs. PGAs are commonly replaced in modern applications due to temperature and vibration problems. The lack of space in between the pins caused complications with the technology, which is eliminated with BGAs as they are soldered together. Electricity is conducted between the PCB surface and the mounted device through the balls in BGAs (or pins in PGAs). The PCB has pads made of copper that are prepared on the surface in alignment with the BGA’s grid pattern. When being mounted, the PCB is heated, melting the solder balls and fusing them with the circuit board’s pads once they cool. This blog is written by San Francisco Circuits, a PCB fabrication and PCB assembly provider in Silicon Valley. Printed circuit boards are susceptible to corrosion both from environmental moisture and the voltage that passes through the pins. There are multiple ways to protect an assembled PCB from falling prey to the damage that can be caused from every day use to extend the life significantly of the PCB and overall application. The best current protection for a circuit board from humidity is to seal the board with a product called humi-seal. This coating is quite light and helps to protect the board and its components from the moisture in the air. It doesn’t fare too well against the board being dropped in water, but then again, rarely do electronics do well when submerged fully in water. The voltage that passes through the circuit board has the chance to corrode the different components over time. The best product to use when protecting the PCB from voltage is called Conformal Coat. This product does nothing to block out moisture, but does help to reduce the wear and tear caused by the passing of electricity through the printed circuit board. This can be used in conjunction with humi-seal if it is sealing the PCB before the humi-seal is applied, and it is recommended that the two be used together to further protect the circuit board from humidity. Protection from both voltage and humidity help to extend the life of the PCB significantly. It is important to use products that will help extend the overall life of your printed circuit board in these conditions. For more information, there are plenty of PCB assembly factories that use other coatings to seal the printed circuit boards. A printed circuit board connects the many components assembled on to the board. They are connected electrically using conductive tracks, pads and copper sheets that have been laminated onto a non-conductive substrate. There are three types of printed circuit boards: Single Sided, Double Sided and Multi-Layer, all of which have different functions for different types of electronics. 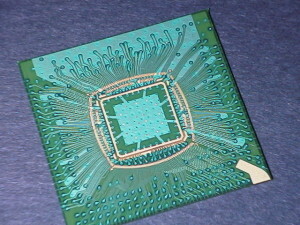 Just as a computer might have many multi-layer printed circuit boards due to its high functionality, a small electronic application such as a small hand-held device would most likely only have a single-sided printed circuit board. PCB assembly is a delicate and difficult process that should be coordinated between many suppliers, including the PCB designer, bare board manufacturer and the assembly engineer. In addition, the component specialists may also need to be involved. The assembly process can often also be done by the bare board fabricator (turn-key assembly) with the company procuring the components on your behalf. An alternative is to have your PCBs created by a circuit board-house and then assembled by an assembly shop. The fabricator will often ship your boards to the assembly shop for you and work with them to ensure an optimal final product. Circuit assembly is a long and drawn out process that can be very difficult for someone who doesn’t specialize in this field. In order to have it correctly configured and to save yourself some time, it’s important that you find a company that specializes in assembling your printed circuit board or has a qualified partner to provide these services. Printed circuit board (PCB) layout, fabrication and assembly can be tricky and costly portions of your product. There are also companies that claim excellent results but when one wants to talk to a qualified engineer to discuss the product requirements it either takes forever to reach them or one gets a customer service representative who doesn’t have the knowledge and experience to answer technical questions. Rule 1: Make sure your PCB fabrication supplier can discuss your layout/design rules with technical confidence. Rule 2: Choose a PCB assembly supplier who uses X-ray for confirming BGA component placement. Rule 3: Quick responses usually correspond with quick turn-around. Choose a supplier who responds quickly to all of your questions. Rule 4: Ask the supplier about their capabilities and previous track record with the specific technology that you require for your boards. Ensure they work with boards that share similar requirements on a regular basis. Rule 5: Choose a supplier who is ISO-certified. PCB assembly is the process of attaching electronic components to a bare printed circuit board, like the one below. The electronic components that are attached and assembled onto the board interconnect and interact through the use of the conductive circuit board. Assembly onto a circuit board can be constructed in 2 ways: through-hole and surface-mount, each with their own advantages and uses. Today we’ll look at through-hole PCB assembly. With through-hole assembly the leads (sometimes also called pins) of the components are pushed through holes in the circuit board and soldered on to pads on the opposite side. The bare board PCB would have a hole for each lead wire of each component. The method of through-hole assembly is done with the use of mounting machines (wave solder or selective solder) but can also be done by hand (manual assembly). This method was especially popular from the 1950s to the 1980s; in the 50s, through-hole construction replaced the more prevalent point-to-point construction. In the 1980s, surface-mount technology became more popular when small surface mount parts began to be used more increasingly, due to smaller board requirements and lower production costs. The bonds formed by through hole technology are stronger than surface mount assembly, but current technologies require smaller geometries on the PCBs and more complicated electronic components that require SMD technologies. Through-hole PCB assembly limits the available area of the circuit board, reducing the ability to add signal traces on multi-layered boards and require larger PCB area. It is , therefore, not the most elegant of assembly techniques and not as widely used currently, especially as electronic components and boards become smaller, more complex and more compact. Through-hole mounting is usually now done only on bulkier components and applications that require the additional strength that through-hole provides. It is also very common to see a combination of through-hole and surface mount technology in the same application.